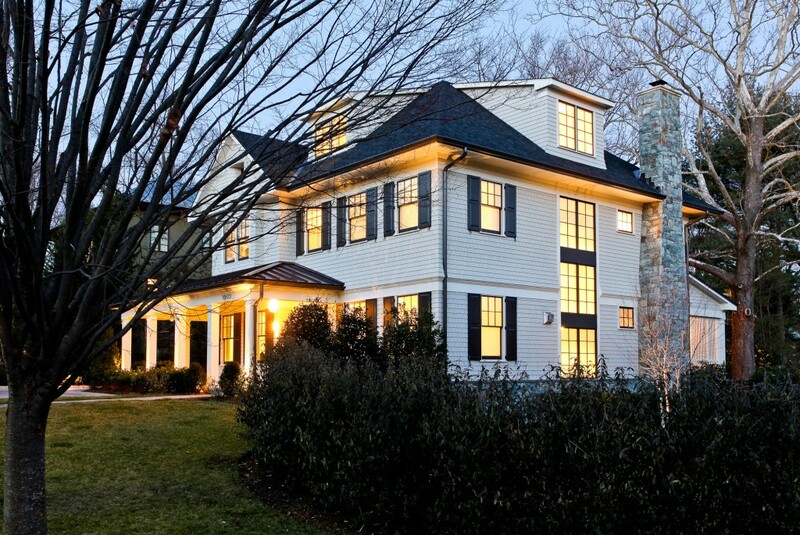 Set in the Town of Somerset within Chevy Chase MD, this new home design evolved into a “Transitional” style. 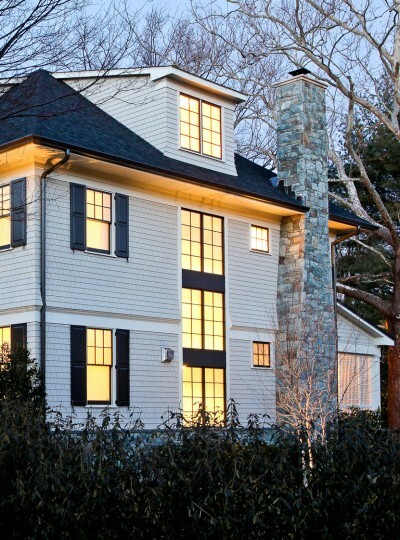 One enters this contemporary Queen Anne inspired home through a welcoming front porch defined by understated traditional trim-work rendered in a fresh contemporary tone. 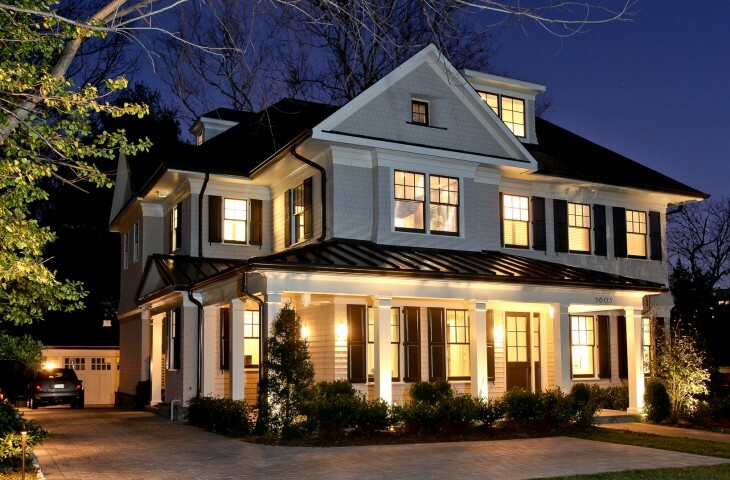 This blend of traditional and contemporary styling is unvailed further through a large expanse of windows into the grand staircase and expansive open floor plan beyond.